Some 300 Chinese businesses have dealings with North Korea amounting to more than US$1 million a year, and the North relies on Chinese firms for 40 percent of its hard currency earnings. 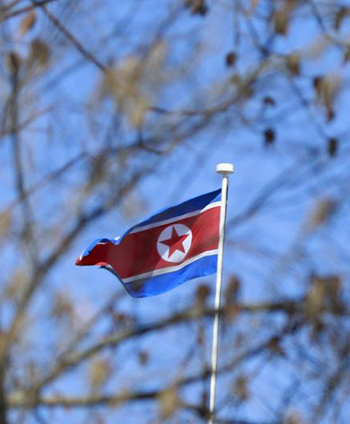 Sayari Analytics, a financial intelligence firm in Washington, said in a recent report that 600 Chinese companies did business with North Korea over the last three or four years, and the money involved came to a whopping $8 billion. Three hundred of them did more than $1 million a year in business with the North, and 50 more than $10 million. At least 15 companies were involved in more than $100 million worth of business with North Korea since 2013, and 20 even formed joint ventures with North Korean firms that were blacklisted by the U.S. Given that North Korea's external trade amounted to $6.25 billion in 2015, the Chinese companies were vital lifelines for the impoverished country, accounting for 40 percent of its foreign earnings. A substantial number of Chinese companies continued doing business with North Korea after UN and U.S.-led sanctions against the North were significantly bolstered last year. More than half of the 50 Chinese companies that did over $10 million worth of business a year with the North before the sanctions were tightened continued to trade with it last year, as did one-third of the companies whose annual trade with Pyongyang amounted to at least $1 million, according to the report. This shows that sanctions against the North are not having the hoped-for impact. The U.S. House of Representatives has recently passed a bill allowing the U.S. to impose sanctions against third countries including China that are engaged in trade with North Korea. Sayari Analytics did not reveal the names of the companies.